There were no free throws or out-of-bounds; no fouls whatsoever. You could push other players -- on or off the ball. Dunks were ridiculously over the top and flamboyant. If you scored three times consecutively with the same player, he would be “on fire.” When an on-fire player held the ball, it would be covered in flames, and the ring would look like it had been torched. If you pulled off enough big dunks, the backboard shattered. And all the while a smart-mouthed announcer called the plays with a series of witty catch-phrases. 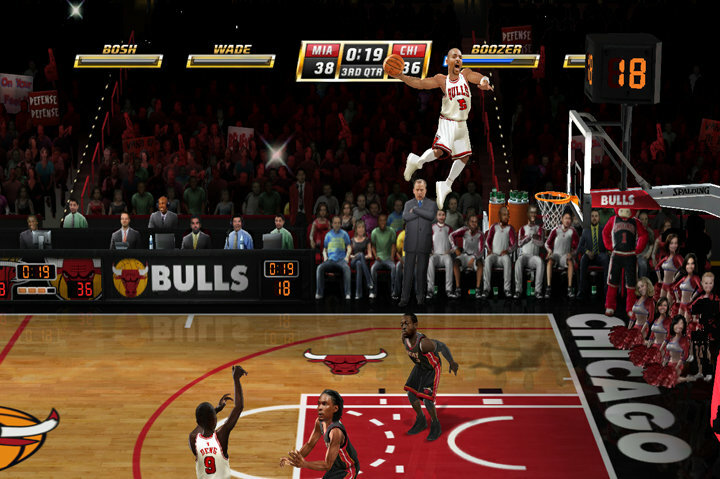 It wasn’t annoying -- far from it; NBA Jam was entertaining. Every word the announcer spouted would make one player feel triumphant and the other determined. 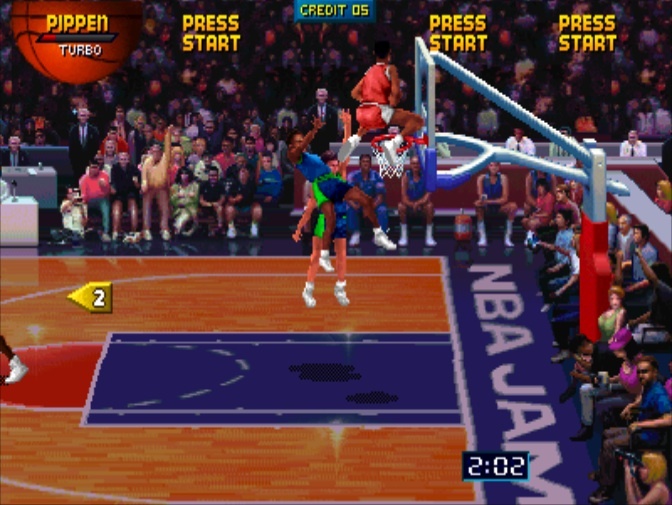 You wanted to be the one slamming the ball home when he shouted “Boomshakalaka!” If ever there was a video game for smack talk, NBA Jam was surely it. The game didn’t just encourage such behaviour, it participated from beginning to end. Like a great comedian or MC, the game pushed all the right buttons to make you laugh, scream, and sling abuse at your opponent -- whether human or virtual. 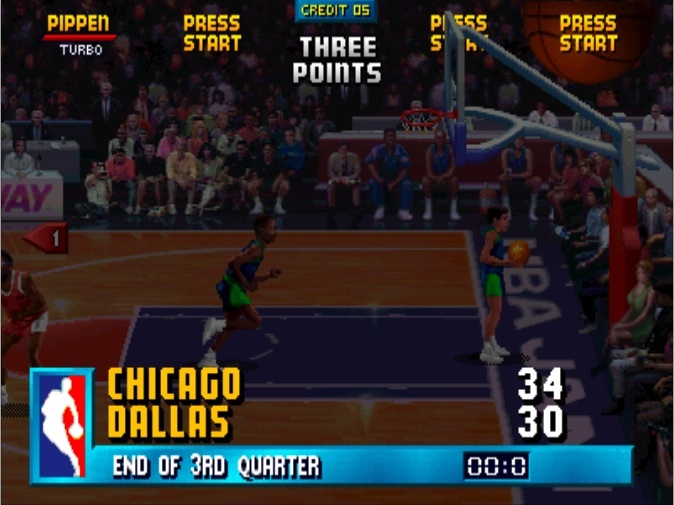 The rubber-band AI may have been frustrating (and that’s putting it mildly), but NBA Jam benefitted from the unpredictability in the on-court action. A big scoring streak would invariably result in the other player getting a huge boost, making the most improbable shots, blocks, and steals seem effortless -- at least until the scores evened-out. When playing against a computer opponent, this typically led people to wild accusations of cheating on the part of the AI. In most games, they’d be wrong. 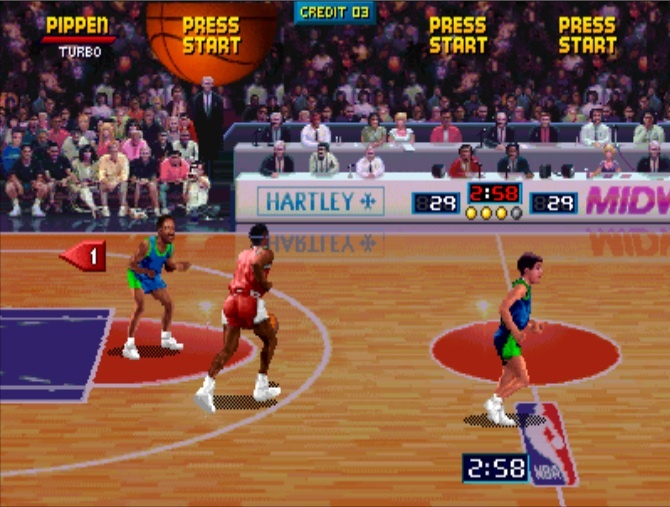 But the computer really did cheat in NBA Jam, just as it is purported to do in the recently released Nintendo Wii version. Some percentages and probabilities were fudged in favour of the losing team. It made the game more interesting, because you could never have an unassailable lead; a comeback was always on the cards. And that’s what we really want in games: the tension and excitement of knowing that neither we nor our opponent(s) can be assured victory. Perhaps it was just a ploy to get you pumping more money into the machine, but NBA Jam perfected the negative-feedback loop as it applies to games. A big lead would be extinguished by an ever-changing probability system that favoured the losing player. But skill remained the deciding factor. If you played a better, smarter game than your opponent, you would win. 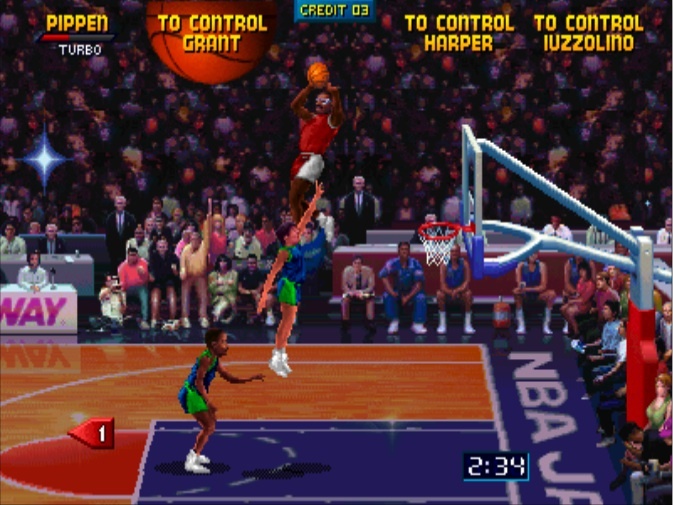 The gravity-defying dunks, brutal shoves, and witty commentary made NBA Jam special; the tight and clever design kept it fun, even when it wasn’t. Count it. 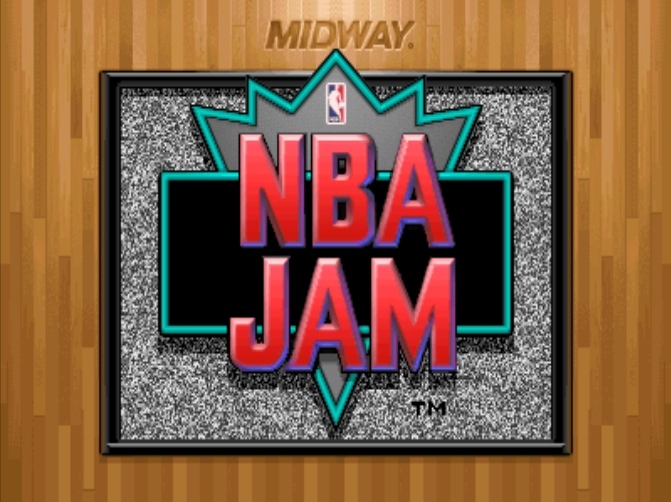 Were you a fan of the original NBA Jam or any of its console ports? How do you feel about the Wii version? Tell us your thoughts in the comments below.